Draft: 2005, New York Mets, 5th rd. Andrew Edward Butera… Married Hilary Turner (11/3/18)… Attended University of Central Florida, where he was a finalist for the Johnny Bench Award in 2015, given to the top catcher in collegiate baseball… 2002 graduate of Bishop Moore High School (FL)… Originally selected by Toronto Blue Jays in 48th round of June 2002 draft, but did not sign… His father, Sal, is a major league scout for TOR and played in the majors from 1980-88 for MIN, DET, MON, CIN and TOR… Hobbies: Golfing and traveling… Signed by: John Bunnell. Made 43 starts behind the plate, his most since 2014 (48) with the Dodgers…his 37 hits were two shy of his career high with Minnesota in 2011 ... Homered off Rays rookie Blake Snell on May 8, his first vs. a left-handed pitcher in more than three years (May 5, 2014 at Washington vs. Ross Detwiler) ... Had a career high four hits (all singles) on Aug. 13 at the White Sox, becoming the eighth Royals catcher (13th time) to record four singles in a game and first since Salvador Perez on Sept. 1, 2012 (Game 1) vs. Minnesota ... Started 11 of the Royals' 15 games during Salvador Perez's 16-day DL stint from Aug. 6-22 and hit .316 (12-for-38) with a .366 on-base percentage ... Hit a two-run home run in the eighth inning on Aug. 15 at Oakland, turning a one-run deficit into a one-run lead, his third career go-ahead HR, two of which have come in the eighth inning or later ... Batted .375/.444/.708 (9-for-24) with a triple and two home runs in "late and close" situations, defined by Baseball Reference as plate appearances in the seventh inning or later with the batting team tied, ahead by one, or the tying run at least on deck ... Hit .391 (9-for-23) with a .417 on-base percentage in 10 games vs. the White Sox, including a three-hit game on July 21 and a career-high four hits on Aug. 13 ... Had a pinch-hit single on Sept. 20 at Toronto, snapping an 0-for-11 skid as a pinch-hitter dating back to his first career plate appearance in a pinch on June 19, 2010, when he hit a go-ahead pinch-hit home run-his first career HR-for Minnesota in the 10th inning of an eventual 13-10 win at Philadelphia ... Hit .269 (35-for-130) through Aug. 19, but finished the season 2-for-33 (.061). Set career highs in doubles (10), home runs (four), batting average (.285), on-base (.328) and slugging (.480) in his first full season with the Royals...Made 34 starts (all at catcher), reaching safely in 26 of those games (76.5%)…hit .275 (30-for-109) as a starter and .357 (5-for-14) off the bench...Hit .342/.385/.507 (25-for-73) with 10 doubles and nine RBI in 32 games at home, and .200/.245/.440 (10-for- 50) with four homers and seven RBI in 23 road games...Batted .316/.356/.526 (30-for-95) with eight of his 10 doubles and all four of his home runs vs. right-handed pitching…hit .179/.233/.321 (5-for-28) vs. lefties...Hit .347/.397/.556 (25-for-72) from the ninth spot in the lineup, the third-best average from the nine-hole in the Majors (min. 70 at-bats)...Homered in back-to-back games on June 2-3 at Cleveland for the first time in his career…the June 2 homer was his first since Aug. 6, 2015, snapping a 70 at-bat homerless streak...Recorded an RBI in a career-high four straight games from May 31-June 3, two games shy of the record for a Royals catcher...Had the game-tying RBI double as part of Kansas City's seven-run ninth inning in its 8-7 win over the White Sox on May 28...Matched a career high with three hits on May 31 vs. Tampa Bay and Sept. 29 vs. Minnesota...Hit .355/.394/.548 (11-for-31) in September/October, including ending the season on a five-game hitting streak, in which he hit .412/.444/.529 (7-for-17)...Made two pitching appearances in 2016…he's the ninth Royals position player to pitch in a game and first since Mitch Maier on April 15, 2012...Recorded the last three outs of a 13-5 loss vs. Houston on June 25…also doubled in the bottom of the ninth inning to become the first Royals position player to pitch and record an extra-base hit in the same game since David Howard on April 12, 1994 vs. Boston...Also recorded the final out in a 13-0 loss vs. the Angels on July 26…his five career pitching appearances are most among active position players…he's recorded one strikeout in four of his five appearances. Acquired by the Royals on May 7 from the Los Angeles Angels in exchange for minor league infielder Ryan Jackson...Played in 45 games with Kansas City, hitting .198 with three doubles, a homer and six runs scored…threw out four of 11 would-be base stealers (36.4 percentage)...Appeared in five games at first base and made his second career start there on September 25 vs. Cleveland…his only other start at first base came on September 20, 2013 as a member of the Dodgers...Batted .280 (7-for-25) during the month of August, his highest average in a month with at least 20 at-bats since hitting .360 (9-for-25) in June of 2011...Hit his ninth career home run on August 6 at Comerica Park, a solo shot off Detroit's Anibal Sanchez...Appeared in three games, making his postseason debut in Game 4 of the American League Division Series in Houston...Worked a 10-pitch walk in the eighth inning of Game #4 in the ALDS to extend the inning as KC overcame a four-run deficit in the frame…also grounded out in Game #4 of the ALCS at Toronto, his only other plate appearance...Caught the final inning of the World Series after Salvador Perez was lifted for a pinch-runner in the top of the inning. Appeared in 61 games for Dodgers, batting .188 (32/170) with six doubles, a triple, three home runs and 14 RBI...Three home runs were a career-high and were tied with A.J. Ellis for team lead by a catcher...61 appearances, 32 hits and 14 RBI were highest totals since 2011...Threw out 11 of 32 would-be base stealers (32.4%)...His opponents' 71.9 pct. success rate on stolen base attempts was eighth-lowest mark among N.L. catchers (min. 400 innings caught)...Dodgers pitchers fashioned a 3.38 ERA with him behind the plate...Caught Josh Beckett's no-hitter, May 25, 2014 at Philadelphia...Marked second time during career catching a no-hitter (see career highlights section)...On May 14 vs. Miami, made relief appearance (2nd of career) out of the Dodgers bullpen...Registered a scoreless inning, including a strikeout...Made second relief appearance of season May 17 at Arizona...Allowed two runs in 0.2 inning pitched with a strikeout. Acquired by Los Angeles in trade with Minnesota in exchange for a player to be named later (LHP Miguel Sulbaran) and cash considerations on July 31... Called up by the Dodgers on Sept. 1 and appeared as a defensive replacement in two games for Los Angeles, going 1-for-6…made his first career appearance at first base on Sept. 20 at San Diego... Batted .135 (7-for-52) with three doubles, one triple and three RBI in 16 games with Triple-A Albuquerque... In two games with the Twins, went 0-for-3 at the plate…spent the majority of the season at Triple-A Rochester and batted .218 (19-for-87) with two home runs in 27 games... At the Triple-A level (Rochester and Albuquerque), combined to throw out 14 of 26 runners attempting to steal (53.8%)... Was a member of Team Italy in the 2013 World Baseball Classic…in four games, batted .188 (3-for-16) with a homer, double and four RBI. Started season with Triple-A Rochester and went 2-for-4 with adouble, a home run and three RBI in first game April 5 at Syracuse. ... Batted .279 (12-for-43) with three doubles, one home run, five RBIand six runs scored in 15 games for Red Wings before being recalledby Twins May 1. ... Tied career-high with three hits, going 3-for-4 with a double May17 at Detroit. ... Doubled in three straight games May 16-19. ... Tossed 1.0 scoreless inning of relief, with one walk and one strikeoutMay 20 at Milwaukee...according to Elias, his father, Sal Butera,pitched 1.0 scoreless inning for Montreal in 1985 and for Cincinnatiin 1986; they became first father-son position players to pitch in amajor league game...sixth different position player to pitch for Twins, first since Michael Cuddyer did so July 25, 2011 at Texas. ... Hit first home run of season, a three-run shot, July 1 vs. Kansas City...the three RBI tied a career-high. ... Named to 2013 Italy roster for World Baseball Classic. Made the Twins Opening Day roster for the second time in his career (also in 2010)...Set a career-high with three rbi, April 18 at Baltimore...matched that with three rbi again, September 24 at Cleveland...Set a career-high with a five-game hitting streak, May 29-June 6...Hit his first home run of the season, a two-run shot off Rick Porcello, June 1 at Detroit...Set a career-high with three hits, June 10 vs. Texas...finished the game 3-for-4 with a double, an rbi and one run scored...Batted .391 (9-for-23) with four doubles, one home run, six rbi and six runs scored in an eight-game stretch, May 29-June 10...Had game-winning walk-off single, June 19 vs. San Diego, helping the Twins extend their winning streak to seven games...Led all Twins catchers in games caught with 93 (75 starts), and ranked 11th in the American League...Held opposing base runners to a 70.6 stolen base percentage (20 caught stealing of 68 attempts), which ranked as the third-lowest in theAmerican League and fifth-lowest in baseball...Caught 20 runners attempting to steal, which was the ninth-most in the American League. Made the Twins Opening Day roster as the club's back-up catcher and spent the full season with the big league club...made his MajorLeague debut, starting at catcher and batting ninth, April 9 at Chicago (AL)...Singled off Mitch Talbot for first career hit, April 22 vs. Cleveland...Recorded first Major League rbi with a two-run single off Kevin Millwood, May 8 vs. Baltimore...Hit first Major League home run, a 10th inning pinch-hit solo homer off Chad Durbin, June 19 at Philadelphia...it was one of two pinch-hithomers in the game (Thome in 9th inning)...Hit second Major League home run off Jeff Niemann, August 3 at Tampa Bay...Started seven consecutive games at catcher for the Twins, August 1-7...Twins pitchers posted an ERA of 3.66 (64.0 ip, 26 er) with 66strikeouts and an opponent batting average of .215 (49-for-228) during that span...Batted .157 (8-for-51) before the All-Star break and .220 (20-for-91) after the break...Caught Carl Pavano's starts from July 11-September 10 and helped the right-hander go 7-5, 3.31 (87.0 ip, 32 er) with four completegames (one shutout) in 12 starts...Had five two-hit games on the season: July 25 at Baltimore, July 27 at Kansas City, August 3 at Tampa Bay, September 21 vs. Clevelandand September 29 at Kansas City...Threw out 14 of 35 runners attempting to steal, giving opposing runners a 60.0% success rate, the lowest of any rookie catcher in baseball(minimum of 350.0 innings caught)...Tied for 13th on the All-Time list for lowest stolen base percentage for a rookie catcher (60.0%) and ninth All-Time for an AL catcher...itwas the best ever percentage for a Twins rookie catcher...His 394.2 innings caught were the 10th-most by a Twins' rookie catcher in club history...the 14 runners caught stealing were the sixth-mostfor a Twins rookie catcher...Caught five of the Twins nine complete games and caught one of the Twins three shutouts. Spent entire season at Triple-A Rochester...went 3-for-4 with two rbi, May 6 at Louisville...hit his first Triple-A home run, June 24 vs. Columbus...went 3-for-4 with two doubles, August 10 at Buffalo...batted .256 (22-for-86) vs. lefties and .193 (41-for-212) vs. righties...finished second in the International League in caught stealing percentage, throwing out 40 of 96 (41.7%) potential base-stealers...tied for league lead in passed balls with 14...ranked the top defensive catcher in the International League by Baseball America. Spent the entire year in the Eastern League with Double-A New Britain...went 2-for-3 with a walk in his first game April 3...scored a season-high three runs in a 3-for-5 effort, April 12 at Portland...had a season-high four-hit game, June 18 at Portland (two doubles, two runs scored)...hit .308 (30-for-65) over 21 games in June...recorded 11 multi-hit games, including four games with three-or-more hits...appeared in 96 games, including 92 as the Rock Cats catcher. Began season at Single-A St. Lucie (Mets)...had four consecutive two-hit games, going 8-for-19 (.421), May 29-June 3...season-high three rbi, May 30 vs. Vero Beach...homered in consecutive games, May 30-31...promoted to Double-A Binghamton, June 22...hit safely in eight of nine games, June 27-July 7...was 7-for-19 (.368) in five games, July 14-19...acquired by Minnesota along with Dustin Martin, in exchange for second baseman Luis Castillo, July 30...assigned to Double-A New Britain and had season-high six-game hit-streak, going 7-for-20 (.350), August 5-20...tied season-high three hits, August 29 at Binghamton. Hit .286 in 18 games in June...Went 16-56 with three doubles, two home runs and 11 RBI...Was 5-5 with two runs scored, a home run and three RBIs vs. Delmarva on June 10...Also had seven games with two hits...Knocked in three runs on two other occasions, April 16 vs. Lake County and July 7 vs. Lakewood...Last winter, he played for North Shore in the Hawaiian Winter League...Hit .232 (13-56) with five doubles and five RBIs in 21 games. Made his professional debut with Brooklyn (A) of the New York-Penn League...Threw out 29 of 62 runners attempting to steal (47 percent). April 15, 2019 Colorado Rockies selected the contract of C Drew Butera from Albuquerque Isotopes. March 30, 2019 C Drew Butera assigned to Albuquerque Isotopes. March 25, 2019 Colorado Rockies signed free agent C Drew Butera to a minor league contract. March 22, 2019 Lehigh Valley IronPigs released C Drew Butera. March 22, 2019 Philadelphia Phillies released C Drew Butera. 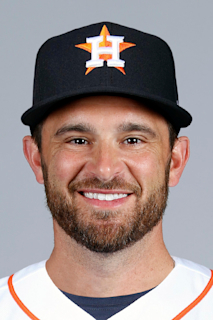 February 18, 2019 C Drew Butera assigned to Lehigh Valley IronPigs. February 11, 2019 Philadelphia Phillies signed free agent C Drew Butera to a minor league contract and invited him to spring training. October 29, 2018 C Drew Butera elected free agency. September 1, 2018 Colorado Rockies activated C Drew Butera. August 31, 2018 Kansas City Royals traded C Drew Butera and cash to Colorado Rockies for LHP Jerry Vasto. November 18, 2016 Kansas City Royals signed free agent C Drew Butera. November 3, 2016 C Drew Butera elected free agency. May 8, 2015 Kansas City Royals activated C Drew Butera. May 7, 2015 Los Angeles Angels traded C Drew Butera to Kansas City Royals for SS Ryan Jackson. May 4, 2015 Los Angeles Angels designated C Drew Butera for assignment. December 9, 2014 Los Angeles Dodgers traded C Drew Butera to Los Angeles Angels for Player To Be Named Later. December 5, 2014 Los Angeles Dodgers designated C Drew Butera for assignment. October 21, 2013 Los Angeles Dodgers activated C Drew Butera. October 3, 2013 Los Angeles Dodgers reassigned C Drew Butera to the minor leagues. September 1, 2013 Los Angeles Dodgers recalled C Drew Butera from Albuquerque Isotopes. July 31, 2013 Minnesota Twins traded C Drew Butera to Los Angeles Dodgers. July 31, 2013 Los Angeles Dodgers optioned Drew Butera to Albuquerque Isotopes. July 29, 2013 Minnesota Twins optioned C Drew Butera to Rochester Red Wings. July 24, 2013 Minnesota Twins recalled Drew Butera from Rochester Red Wings. June 8, 2013 Drew Butera roster status changed by Rochester Red Wings. April 6, 2013 Rochester Red Wings placed C Drew Butera on the 7-day disabled list. March 25, 2013 Minnesota Twins optioned C Drew Butera to Rochester Red Wings. October 14, 2012 C Drew Butera assigned to Estrellas de Oriente. May 1, 2012 Minnesota Twins recalled Drew Butera from Rochester Red Wings. March 31, 2012 Minnesota Twins optioned Drew Butera to Rochester Red Wings. October 22, 2010 C Drew Butera assigned to Senadores de San Juan. December 10, 2009 C Drew Butera assigned to Lobos de Arecibo. October 19, 2009 Drew Butera roster status changed by Minnesota Twins.